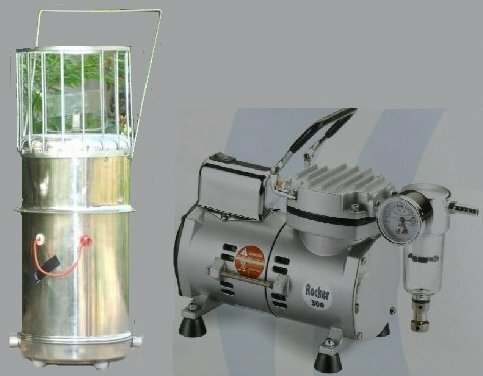 We are the authorized dealer for various Scientific Laboratory Equipments of world famous Brands such as IKA Instruments, and have the best after sales support team in Kolkata, West Bengal, India. Microprocessor based Rotorod with Variable speed , Programmable speed and time operation, Runs on 220V/AC and , Option for one, two slide holder and Adhesive Tape Mounting . Monitoring of atmosphere spore and pollen types of the area is done by using this simple equipment also known as Rotorod (Aeroscope). 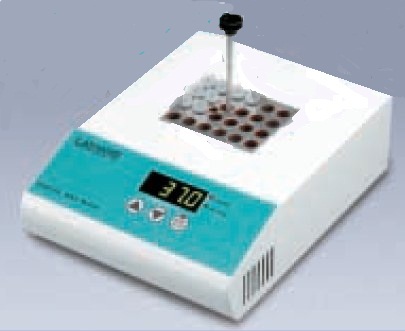 based on the principle of impaction samplers (VISION Rotorod samplers, Tilak Rotorod sampler) used for Monitoring the atmospheric spore and pollen is done by using this instrument to catch the dispersed spores and pollen in the air on to the slides smeared with glycerin jelly or adhesive tape. Then with the Help of Microscope and Image Analysis Sftware the percentage Distrubution can be known. Depending upon the requirement, topographical conditions various air samples are in use by the aerobiologist such as or suction samplers (VISION Air Sampler , Hirst-trap, Burkard’s samplers). Digital dry bath incubators or Dry Block Heaters offer precise temperature control combined with precision-engineered metal blocks. These dry bath incubators are reliable source of precision heating for many sensitive analytical procedures. You can choose from available standard metal blocks or can also order for custom made blocks that match to your applications. These units are general purpose dry block heating system with interchangeable blocks and a comprehensive specification to suit most dry block heating applications. Temperature is controlled by microprocessor PID controller and displayed through LCD display. Convenient timer facility and over-temperature cut-out enable users to experience easy and trouble free procedure. Digital automatic Polarimeter is the basic scientific instrument used to measure angle of rotation , specific optical rotation of optically active substance. With built-in auto controlling system. 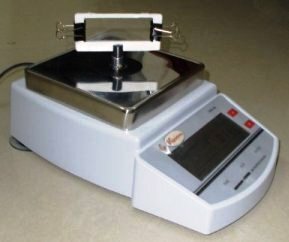 The Polarimeter can auto judge the Levo Rotatory or Dextro Rotatory sample. Calculation of Purity, Concentration and percentage. This is a vital instrument for Sugar Industry. 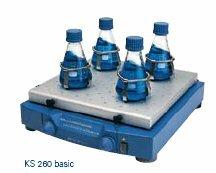 The Best Orbital Shakers, Platform Shakers , Incubator Shakers from IKA. are available with us. 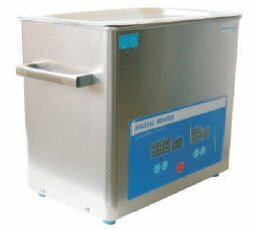 Speed range from 100 - 500 RPM, Temperature control for Incubator Shaker with Best Price for specifications if compared with NBS Shakers our shakers have advantage over in Pricing and performance.We have refrigerated Incubator Shakers. Suitable Shakers for Biotechnology Applications, Tissue culture, Laboratory Shakers, Vortex Shakers are a few to mention. We are the authorized supplier and Dealer for IKA Shakers based in Kolkata, India. Microprocessor based DO meter which use polarographic Electrode to measure dissolved oxygen in water, the instrument can display the oxygen level as percentage saturation from 0 to 200 %. USB communication interface present for Data logging. Automatically compensate salinity and barometric pressure. 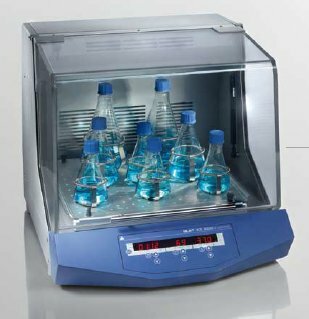 IKA Orbital Shakers with variable speed Control, Suitable for use in Incubator, Wide variety of attachments to suit different glassware. Digital Display. 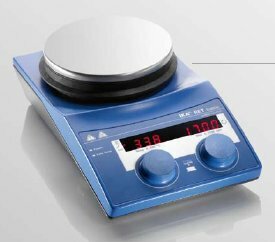 Magnetic Stirrer from IKA : Magnetic stirrer with seamless glass ceramic working plate and digital display of temperature. Wide speed range and temperature range, with powerful Motor and could stirs even viscous materials. The newly improved NOVITA Dehumidifiers ND 390-i has the biggest tank capacity in the entire range of NOVITA Dehumidifiers, Extracting upto 35 litres of water a day it is recommended for industrial use. The NOVITA Dehumidifiers ND 390-i also comes with easy-roll castors and a convenient handle for easy transportation from one location to another. 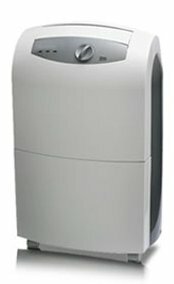 Strong and sturdy, the NOVITA Dehumidifiers ND 390-i is the perfect choice for heavy users.We are also supplier of DeLonghi Dehumidifiers. 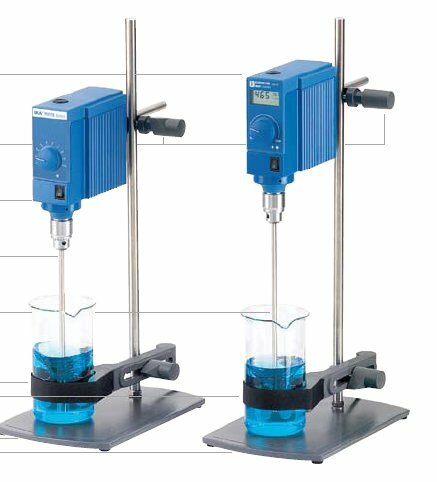 Viscometer to measure absolute viscosity of Newton liquids as well as non Newton liquids . With big backlight Display, Printer and Computer interface, Data logging software, Torque Percentage, Temperature display. 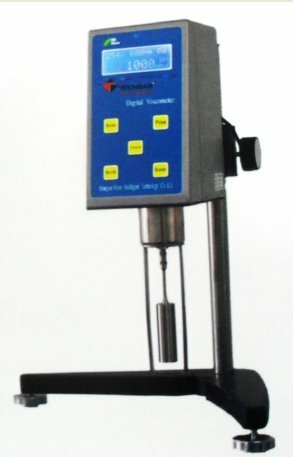 Digital Overhead stirrer having ability to stir viscous materials Liquids, Speed range from 50 RPM to 2000 RPM, Digital Display, Torque check. Highly used in Paint industries, Chemical Industries, Phama Industries. We are authorized dealer for IKA Stirrers in Kolkata, India. Various Laboratory Equipments Like pH Meter, Conductivity meter, DO Meter, Water analysis meter, TDS meter, Polarimeter, Spectrophotomere, Water Bath, Distillation Plants, Hot Plates, Hot Air Oven, Incubators, Oven, BOD Incubators, Shakers, Humidity cabinets, Muffel Furnace, Digital Weighing Balance, Centrifuge, Novita Dehumidifier, Lab apparatus and all those are required for laboratory setups are available with us. We are authorized supplier and dealer for various instruments based in Kolkata, India.